Attractive single story in Remington Ranch! Immaculately landscaped corner lot. Nice covered front porch for enjoying the evening sunsets and morning coffee. 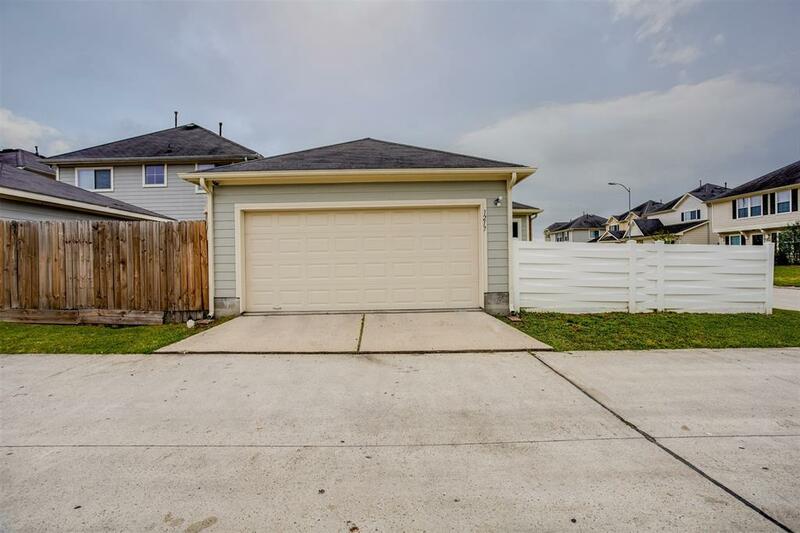 The attached two car garage features rear driveway access for convenience. 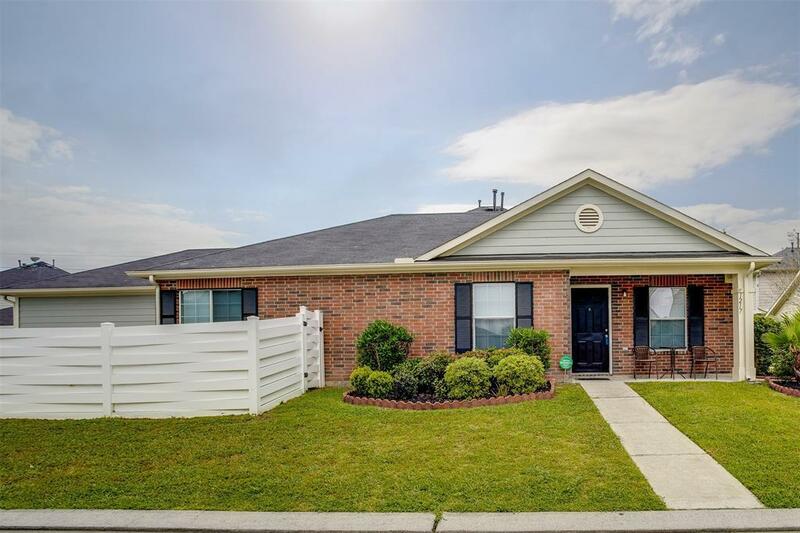 Ranch style brick exterior with window shutters and Hardy plank siding. The patio features low maintenance vinyl fencing and sliding glass access. 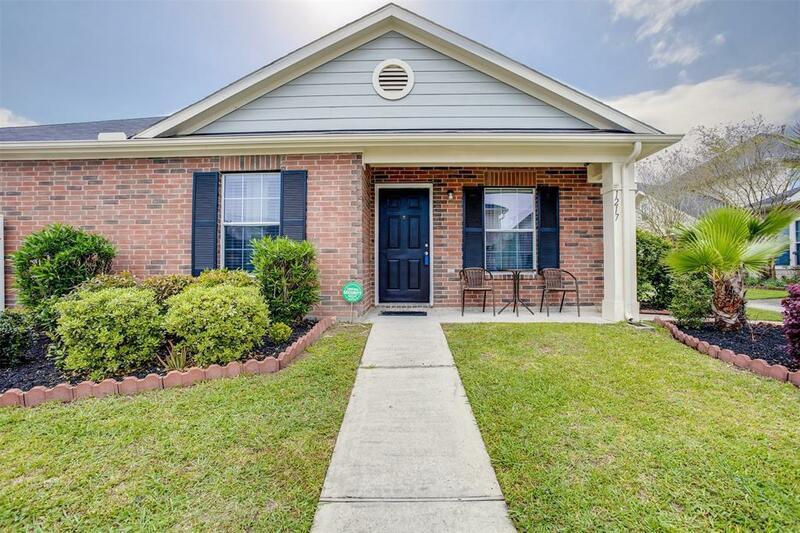 Open floor plan with easy care tile flooring throughout the interior. Efficient island kitchen with sunny dining area features attractive laminate counters, wood grained raised panel cabinets, stainless appliances with gas range and a serving bar. Spacious bedrooms include the Owners suite with private bath featuring soaker tub and separate shower and walk in closet. Two secondary bedrooms share a full bath. 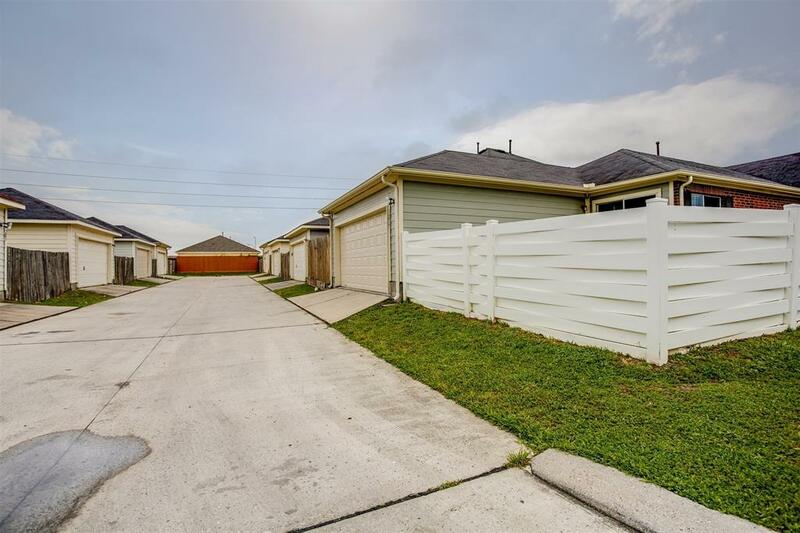 The home is located within easy access to I-45 and zoned to Spring ISD schools. Call for a tour today!